Faysal Bank is the Commercial Bank of Pakistan. Its Branches Located in overall Pakistan. 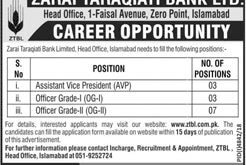 Faysal Bank Jobs 2018 For Multiple Position in Different Cities | Apply Online. First of all you should be online Registered on their official website and after Create Account you can Submit your Qualification and all Other Required-Data.